Blossom is made with an intricate embroidered appliques lace netting. It is delicately trimmed with lace edge all around. Veils are made to order, please allow 2-3 weeks to create this item. ++ Not what you are looking for? 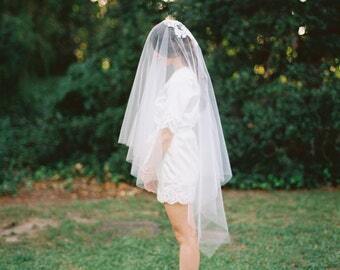 Click on the link below to see all our veils! I'm so in love with my veil! This is more beautiful than I could have imagined!!! I'm so excited to wear it on the beach on my wedding day!!!! Thank you so much!!!! 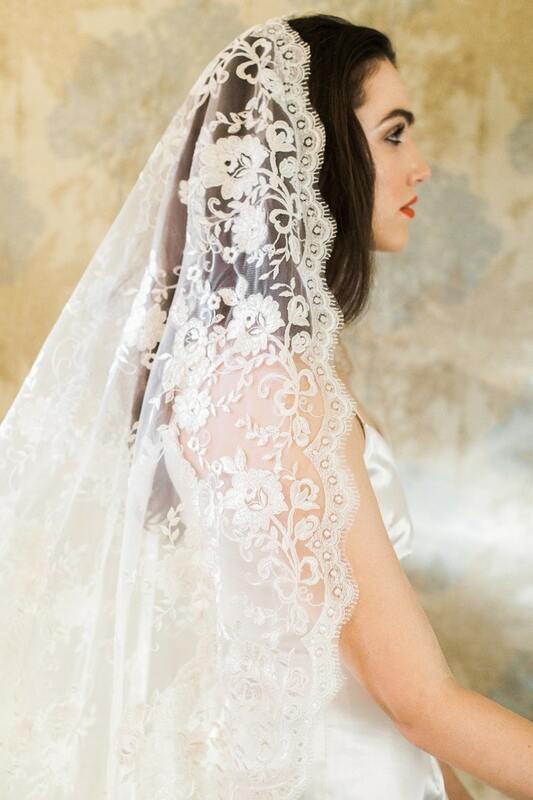 My mantilla veil is so stunning!! Great seller to work with!